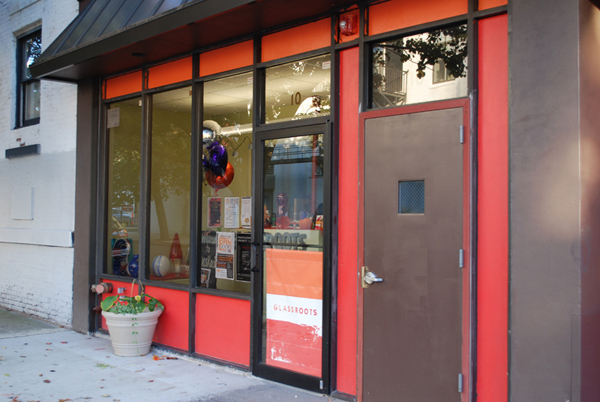 GlassRoots is a 5,500 square foot facility located in the Halsey Street Arts District of Downtown Newark. We are conveniently located within blocks of The Newark Museum, Newark Public Library, Rutgers University, NJIT, NJPAC and the Prudential Center. GlassRoots has four separate studio spaces and a gallery/exhibit space where visitors can view the wide variety of work created by our staff and students. The Flameworking Studio is equipped with 15 MAAP gas work stations and an appropriate ventilation system. 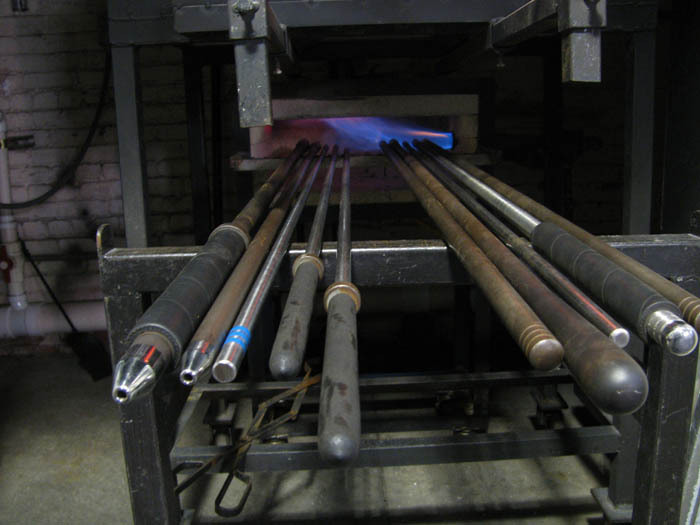 The flameworking studio also hosts two Bethlehem PM2D torches with National Hand Torches available for rental. The Flat Glass Studio is used for a wide variety of glass art techniques including kilnforming, sandblasting, mosaics, and casting. Equipped with large table space and a sink this room is often bustling with artistic and production activity. The Cold Shop houses the necessary equipment for finishing off hotshop and flat glass pieces. The Hot Shop is home to two glory holes, two benches and two large annealers. Three additional kilns are also in this space. Batch storage as well as equipment storage round out our hot shop area. ​The second floor space houses our administrative offices, classroom and conference areas. The second floor is accessible only by stairs. If you're visiting GlassRoots for a meeting, and are not able to climb one flight of stairs, please notify us so that we can make alternative arrangements. Studio is on the left. Studio is 2 1/2 blocks down on the right. AMTRAK (1-800-872-7245; www.amtrak.com) and New Jersey Transit (973-275-5555; www.njtransit.com) trains also stop at Penn Station-Newark. Please call the appropriate number for scheduling and fare information. Take the Newark City Light Rail (entrance is by McDonald's) to Washington Street (2nd stop). 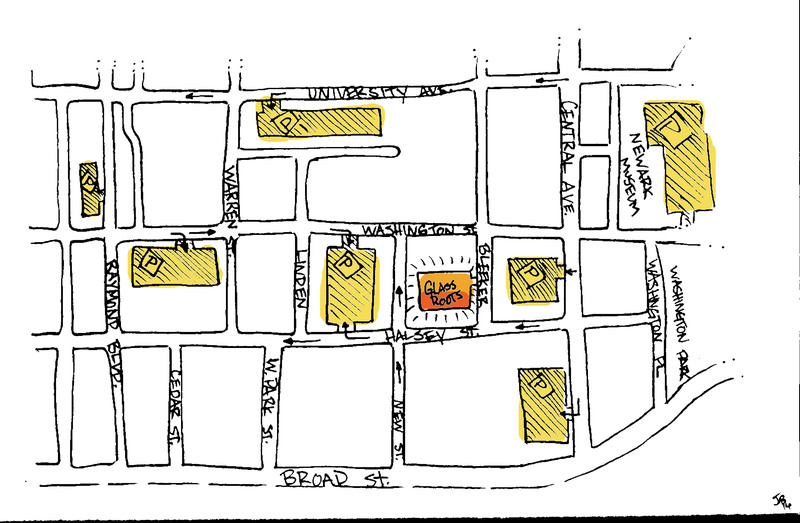 GlassRoots is only a four-block walk from the Broad Street Station. From Newark Penn Station, ride the Newark City Light Rail two stops to Washington Street and you're so close! Or, take the Newark Light Rail, which connects Newark Penn Station with the Broad Street Station, and is minutes from our studio. Greyhound (1-800-231-2222) provides service to Penn Station-Newark. New Jersey Transit Bus Routes serve Union, Essex, Morris, Passaic, Bergen and Hudson Counties, as well as NYC, to Newark. There is ample on street and lot parking around GlassRoots, however, there is no parking on the street in front our studio. There is a pay lot on the corner of Washington and Central (access from Central), with a pedestrian exit onto Bleeker directly across from our studio. A parking map is available here. There is a bike-locking rack directly in front of our studio!